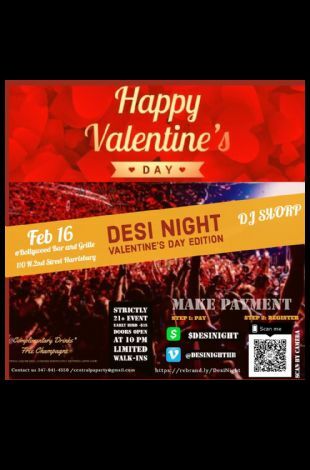 Please note Desi Night Valentine's Day Edition Party occurred in past. Love is in the air . Let's Party Hearty!!! 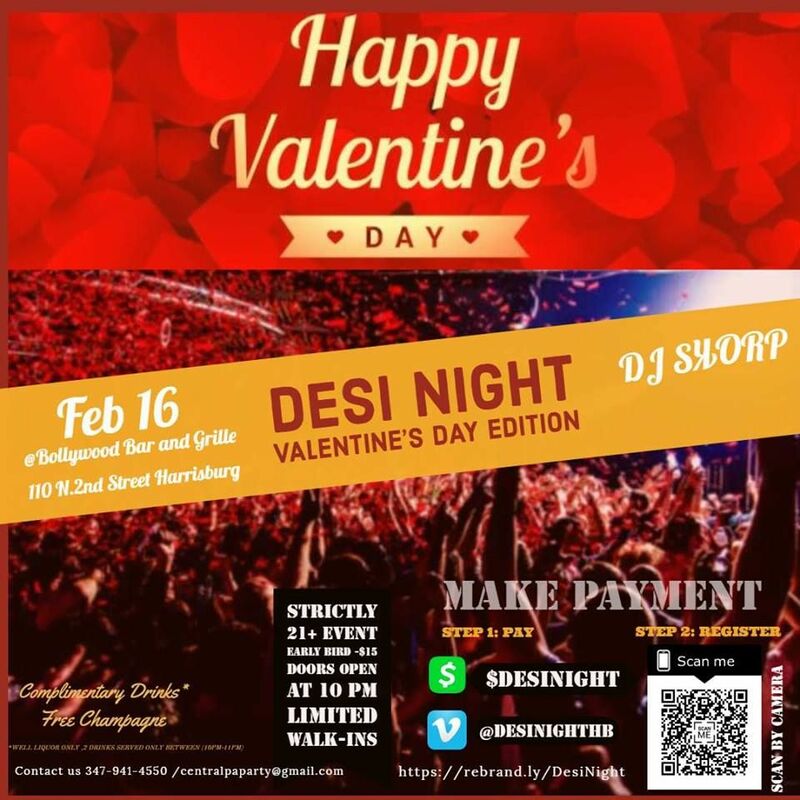 Join us for our Desi Night Valentine's Day Edition Party , an evening of romance, friendship, sweet memories and all things lovely and fun as our handsome talented DJ Skorp set the mood for the night playing your favorite song as you sway to the music and make love to the beats . To all my fellow single people out there, just because you are single doesn't mean you can't come together to mingle. You never know you might find that special someone .